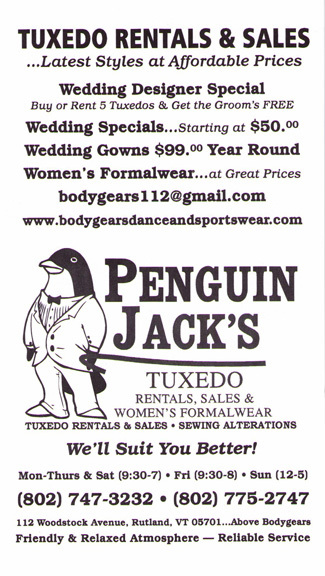 Bodygears works to stay competitive and our prices are always great. 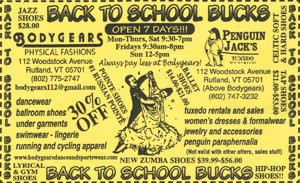 We want you to shop at Bodgears so we've provided you with extra incentives. 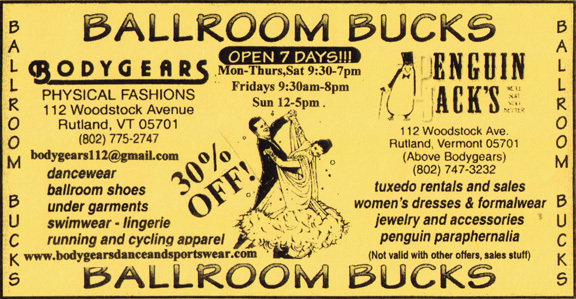 Check out Ballroom Bucks, Blizzard Bucks and great deals on Tuxedos at Penguin Jacks. 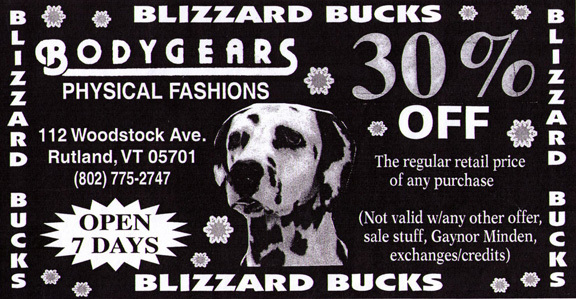 Print any of the following coupons and we'll honor them at the store. Don't forget to share them with your friends.